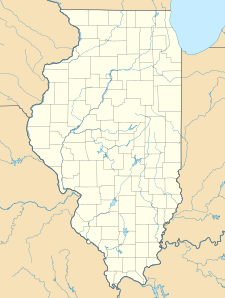 Baldwin Lake State Fish and Wildlife Area is an Illinois state park on 2,018 acres (817 ha) in Randolph and St. Clair County, Illinois, United States. "Baldwin Lake State Fish and Wildlife Area". Illinois Department of Natural Resources. Archived from the original on 15 June 2007. Retrieved 2007-05-25. USGS. "Baldwin Lake State Fish and Wildlife Area, USGS Baldwin (IL) Quad". TopoQuest. Retrieved 2008-06-29. This article related to a protected area in Illinois is a stub. You can help Wikipedia by expanding it. This Randolph County, Illinois location article is a stub. You can help Wikipedia by expanding it. This St. Clair County, Illinois location article is a stub. You can help Wikipedia by expanding it.